Alright; school and life had teamed up over the last month or so to make updating nearly impossible. But, my days are lighter of late, and so without any further ado, Dice and Diamonds will update weekly, on Tuesdays, if not more. Apologies for the interruption. Most folks who know anything about Kemetic Orthodoxy know that we perform a daily ritual called Senut. Well, it’s supposed to be daily. 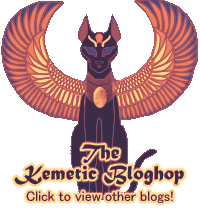 I polled the Kemetic Orthodox community a few months ago in an attempt to get some basic information about my co-religionists, and well – not many people perform Senut daily at all. Far more people said they perform it rarely. And I find that sad. Those of you who know me well are going to be scratching your heads, saying, “Why are you talking? You haven’t done Senut since your brother moved in with your family in February,” and you’re right. And in that absence of Senut, I have grown to understand just why the Senut is such a powerful and important part of Kemetic Orthodoxy – or why regular structured worship is important in any religion, for that matter. For the remainder of this post, you’re going to have to accept for a little while the view that God is a being with personality, needs and desires, and one of those desires is to know men and form a loving and personal relationship with them. Not everyone has this mindset (I’m looking at you, ceremonial magicians) and that’s okay! But if you want this post to make sense, you’re going to have to suspend disbelief, or something similar. 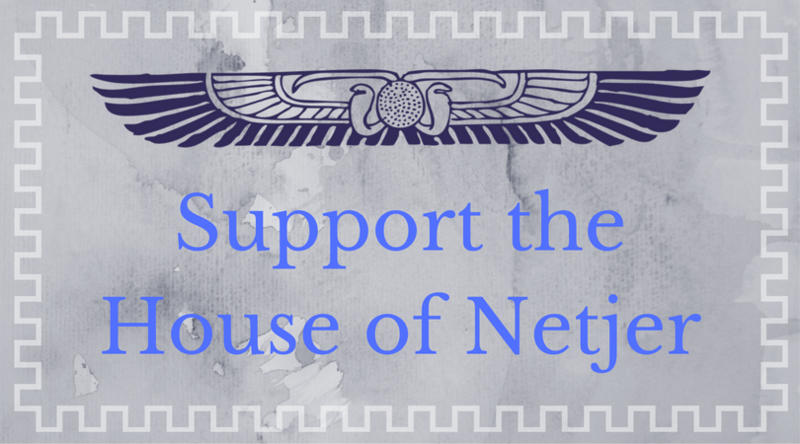 Senut is designed to give the community of Kemetic Orthodoxy a cohesive liturgy, along with a very effective form of heka with which to have time face-to-face with Netjer and build a relationship with their gods – on a daily basis. The ritual, really, is simple, and can take very little time, even without rushing. What amazes me is that it’s so effectve for such a simple ritual. Senut feels good. And, when performed as it’s meant to, it really does increase the relationship between God and man, at least, in my humble experiences. And you might think that makes me a hypocrite, for not doing Senut since February – but like you said, my brother is living with us, and he just happens to be sleeping in the place where all of my Senut is done. I don’t have any room in my bedroom for a place for Senut; I don’t have the ability to do Senut anywhere else but in that room. So I’ve been willing, but unable. For those of you who are reading this and can’t understand why that would be such a bad thing, let me draw some comparisons. In Catholicism, adherents are expected to go to Mass every Sunday. Now, there’s no threat of eternal damnation if you don’t perform Senut every day, but I’m sure that the real tried and true Catholics enjoy going to Mass every Sunday, because it feels good – it helps them build a relationship with their God, aside from also being mandatory. Now, imagine that you’re one of these Catholics who likes Mass, and you’ve been told you can’t attend Mass, nor receive any sacrament, for one full year. It doesn’t matter why, maybe an evil dictatorial regime has taken over and wants to do away with religion for a while. But that Catholic is going to be devastated. It’s like having a dear part of your body ripped away. Even if the Catholic isn’t an “every Sunday” kind of Catholic, to tell him or her that he or she can’t attend Mass for a year is likely going to make him or her want to go even more. And so it is with me. I wasn’t the best at performing Senut; I did it weekly over the summer, and bimonthly during the school year because that’s how often I was home. But suddenly – no Senut. No formal worship. Sure, there’s prayer, but formal ritual feels good. That Catholic could pray all they liked, and I bet they would still miss Mass something fierce. Now, this isn’t a diatribe against my co-religionists lambasting them for not valuing Senut enough; nor is this an attempt to explain why everyone should perform Senut. This is my explanation of the value of regular and formal worship of any God. Ritual is like a comfortable pair of slippers. Every evening, you take off your fancy work shoes, and put on your slippers before sitting down with your book or your TV and relaxing. By the same token, every time you step into ritual, be it Senut, a Wiccan Sabbat, an ADF celebration, or even Catholic Mass, you are taking off the ordinary part of yourself and fully wearing your faith, thus exposing yourself to your God(s). Informal prayer is wonderful and has its place, but you are not truly ‘wearing your faith’. You can be driving, singing, eating, showering, clubbing or whatever when you pray informally. In ritual, you are 100% a child of your God, 100% focused on loving and honoring Him or Her or It. In any human relationship, we know it’s important to focus on the other person 100% at times. So it is with man, so it is with God. Now that is important, regardless of creed. This is a great description of the benefit of and reason for senut and ritual. 🙂 I’m loving these posts of yours, Sobeq!